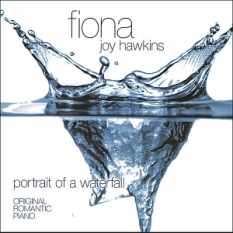 Fiona Joy’s (previously known as Fiona Joy Hawkins) evocative piano and ethereal vocals have earned her the internationally voted radio ZMR award for Best Instrumental Piano album 2013. An ARIA Finalist in 2008, Fiona Joy was also Runner up for Best Instrumental Song in the International Acoustic Music Awards. After touring extensively in the US and Australia, Fiona earned a nomination along with Pete Seeger for Best LIVE Performance album in the Independent Music Awards. Fiona has worked with T-Bone Wolk (Hall & Oates), Tony Levin (Peter Gabriel, Dire Straits), Jeff Haynes (Pat Metheny), Eugene Friesen (Paul Winter Consort), Heather Rankin, Charlie Bisharat (Shadowfax) and Rebecca Daniel (ACO) plus many others.  Recently signed to Blue Coast Records, Producer Cookie Marenco has partnered with Sony to provide music to this new hi resolution music consumer. Marenco says, "Fiona's melodic solo piano and masterful performances are the perfect music to debut the kind of clarity double DSD audio brings to the home listener. Her music is a cross between George Winston's simple melodies and Ludovico Einaudi's musical sophistication". Though her native country is Australia, Fiona Joy is known through out the world for her melodic songs and lush arrangements. Her song ‘Grace’, on Winds of Samsara (Ricky Kej and Wouter Kellerman) has already achieved notoriety by the album reaching #1 on the Billboard charts and winning the New Age Grammy in 2015. 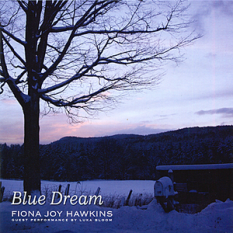 Fiona Joy Hawkins' music has beauty as well as substance and while soothing to the soul it is bristling with life. Fiona Joy Hawkins' music is just that, A Joy! Dave Butler: InnerVisions Syndicated Radio show producer/host.